I’ve been away for the better part of a month on Reservist and I’ve just gotten back. I’ve been making sure the shelves are stocked and ready for business. We’ve reloaded our Catan and Munchkin shelves and we’ve gotten in more of those X-Wing K-Wing and TIE Punisher heavy bombers that people have been clamoring for. Plus Small World, the D&D Elemental Evil board game, Agricola and Pandemic Legacy are back on our shelves. So. As always, here’s to gaming. 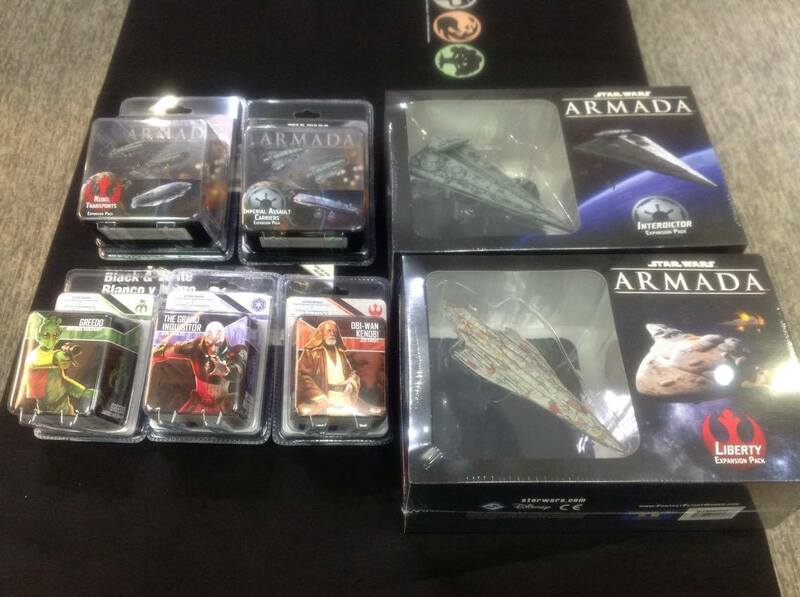 It’s Monday and it looks like we got ourselves some Star Wars toys! The Games @ PI Auction closes today (21/08/16) at midnight. If you haven’t taken a look, you owe it to yourself to CHECK OUT THE LIST OF AUCTION ITEMS, download the Games @ PI Auction Form HERE and submit your bid. For more information, consult out the LAUNCH DAY POST. The number of bids made has been impressive, and it’s going to take some time for the staff to sort through all the bids. Nevertheless, we will endeavor to contact all who made winning bids via email by Tuesday (23/08/16). We ask that those with winning bids contact us by Sunday (28/08/16) with confirmation of their purchase as well as information on when they will be able to collect their items and make payment. This will facilitate our ability to process bids effectively as well as contact the seller. If a response is not received by Sunday (28/08/16), we will open options for the next highest bidder to purchase the item bundle. Thanks for your cooperation and good hunting. It was madness but we all survived the massive flood of board games that came in today. Speaking of Madness..
Fight for your life in Mansions of Madness Second Edition, the app-assisted horror game inspired by the works of H.P. Lovecraft. From the makers of Eldritch Horror, this fully cooperative game takes you and up to four other players on a harrowing adventure through the dark and desolate halls and alleyways of Arkham. 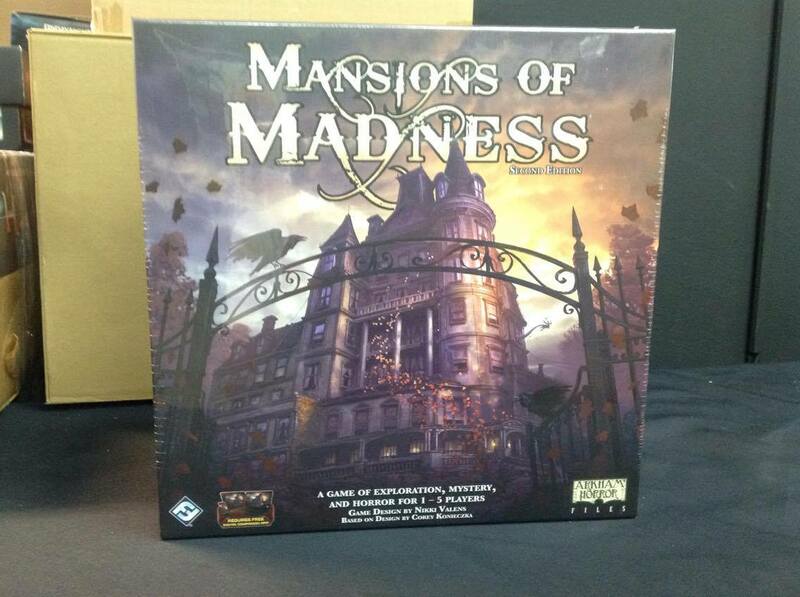 Much like the original Mansions of Madness game, the second edition offers a number of thrilling and confounding scenarios, each with a unique and unpredictable map, intricate puzzles, and bloodthirsty monsters. Come on down to Games @ PI and grab your copy of the Android Netrunner: Blood Money Data Pack on street date (11/08/16). And running with the theme of the Credit Crash, until the end of August 2016, anyone who picks up the 2015 Android: Netrunner World Champion Corp Deck and 2015 Android: Netrunner World Champion Runner Deck together with their Blood Money gets 10% off all Netrunner purchases made in that transaction. Of course the text in this announcement is in red. What other colour could I announce Blood Money in? We’ve got nearly two-hundred different item lots going under the hammer, so it’s our pleasure to kick off the 2016 Games @ PI Auction. Here’s how it’s going to be conducted. As mentioned before, the Auction is being conducted as a sealed bid auction. To participate, please follow the following steps. 1) Download the Games @ PI Auction Form HERE. 2) View the items at the following LINK. If you are unsure of the item condition or wish to inspect it further, you are welcome to come down to the store and check out the items in person. 3) Submit a completed auction form with your indicated bids to info@pi.com.sg via email using the header “2016 Games At PI Auction“. Please submit using the original XLS format. Please note that buyers will have the opportunity to submit ONE bid form for all the items they wish to bid on. 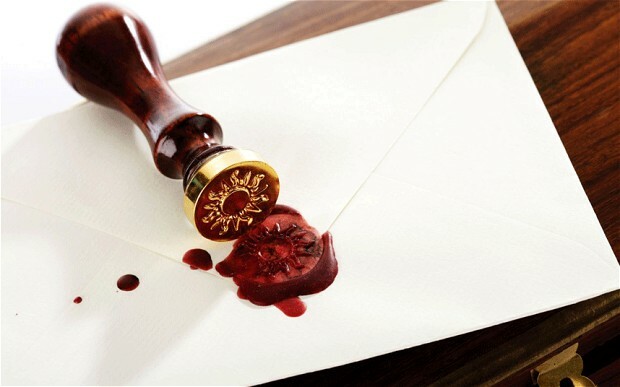 If multiple bid forms are submitted, only the earliest by date stamp will be considered. If there are multiple winning bids, the item will be awarded to the earliest submitted bid. Auction bidding closes on the 21st of August, 2016. No bids will be accepted after closing. The winning bidder will be contacted via Email after the auction closes and will have until the 6th of September to collect their bids. And as always, to the victor, go the spoils. To all our Singaporean friends, Happy National Day. With the upcoming Games @ PI Auction pile now looking absolutely monumental and given bidding opens tomorrow (10/8/16), we’ve been hard at work over the past weeks logging everything. Don’t forget to check it out. Long awaited releases and restocks have also been chugging in over the last few weeks – here’s a catch up list of everything from the past week or so. And don’t forget to click on for the full list of releases. You’re no longer looting and shooting on your own with Cash ‘n Guns: Team Spirit. This expansion features rules for team play and enables a ninth player to take part in the action. It also introduces a deck of duplicitous mercenaries: twelve thugs-for-hire who can give your team a temporary advantage and who bring a deeper strategic dimension to the team game. They thought the secret of Warwick mansion had been solved and the spirit had found peace, but now new signs have emerged that were previously hidden. In Mysterium: Hidden Signs, the spiritualists must return to the old mansion and investigate these disturbing visions. Will they understand all the instructions this time and give the ghost its final rest? Featuring gorgeous full-bleed art and new visual treatments of their ID cards, the 2015 Android: Netrunner World Champion Corp Deck and 2015 Android: Netrunner World Champion Runner Deck are card-for-card recreations of the decks played by 2015 Android: Netrunner World Champion Dan D’Argenio. These decks offer newer players an opportunity to experiment with some of the game’s greatest synergies, as well as a host of its most popular and enduring cards. With the launch of Warhammer 40,000: Death Masque and Codex Deathwatch, we’re putting out the call for heroes. From now until Friday, 12th August 2016, come down to Games @ PI and have your photo taken reciting the oath upon the Inquisitorial Rosette. With access to the armory granted by their granted clearance as Deathwatch members, all newly inducted Marines are entitled to a 10% preorder discount on current and upcoming Deathwatch releases. Amongst a hundred men, there may be none fit for the Adeptus Astartes. Amongst a hundred Space Marines, there may be none fit for the Deathwatch. After years of successful, unfailing service in the name of your Chapter, your Primarch, and the Emperor – your exploits and successes have revealed you to be a most worthy candidate. At long last, the time has come to undertake the Long Watch and fulfill your destiny. 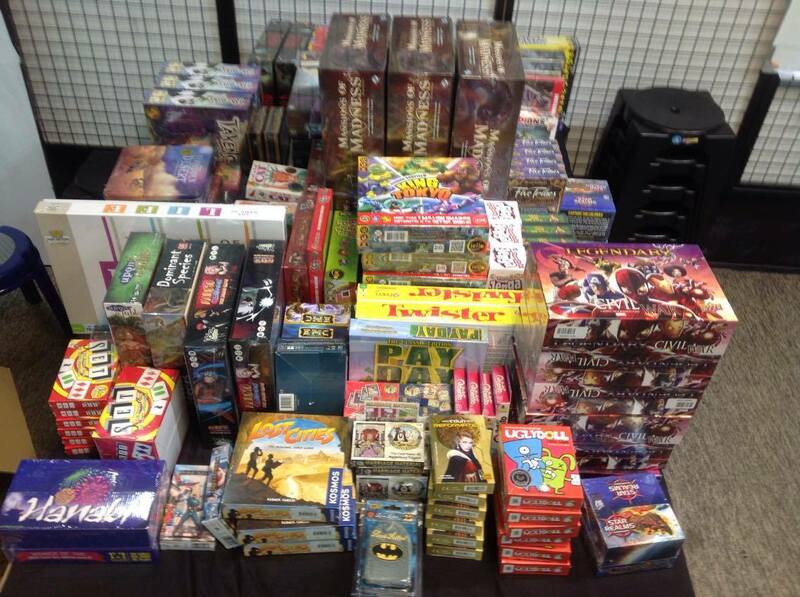 Items have been flowing in for the Games @ PI auction at an astounding rate, and we’ve seen a good spread of Card Games, Board Games, RPGs and Miniatures. And don’t forget – if you’re planning to clear your closets, we’re still open to auction contributions at the store until the 7th of August. We’ll be making more announcements over this week in the leadup to the bidding itself. Here’s a peek into what’s going under the hammer. See anything you or your friends world like? Don’t forget to bid when the auction opens on the 10th of August! 3/8/16 EDIT: We’ve updated the list yet again with another batch of auction items. 4/8/16 EDIT: More items, just appeared, including some hard to find miniatures! 5/8/16 EDIT: Board Games, Card Games and Miniature Games Galore. And there’s more coming too! 10/8/16 EDIT: And we’re done. Malifaux, Warhammer 40,000, Age of Sigmar, RPGs, Board Games… EVERYTHING.